Fancy Siberian Husky racing? 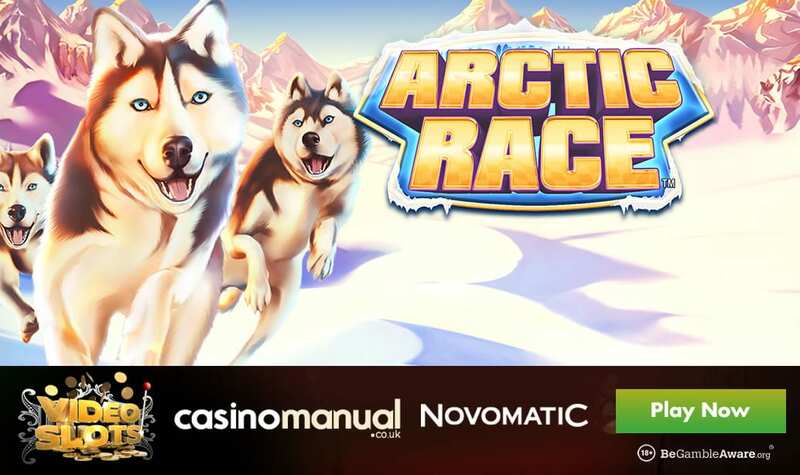 That’s the unusual theme in the new video slot from Novomatic – Arctic Race. It offers big potential base game wins as well as cash prize of up to 100 times your bet for every trophy symbol in the feature. Arctic Race is a 5 reel, 243 ways to win video slot that can be played on desktop, mobile and tablet devices from just 25p a spin. With beautiful snowy mountains in the backdrop, you’ll see log fires, husky sleds and mountains on the reels. There’s an Arctic racer who is the most rewarding to give you 80 times your bet for 5 across a payline. If you fill the reels with this symbol, you’ll pocket a cool 2,000 times your total bet. The huskies symbol is the wild which appears on the 3 middle reels. The main attraction is the Trophy Respin feature where you begin with 3 free spins – only trophies and blanks appear though. Each trophy you see will give you a cash bonus up to 100 times your bet – it only resets the number of free spins to 3. In theory, you could win 1,500 times your bet on every free spin! 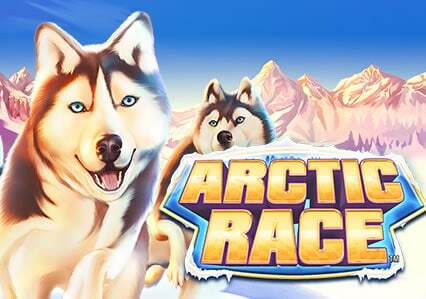 For full details, and to try for free, visit the Arctic Race video slot review. You can play Arctic Race at Videoslots Casino – with over 3,000 video slots to choose from, you also have the brand-new Valkyrie from ELK Studios available. Other new arrivals include the revamp Gorilla Chief 2 by WMS, Jingle Spin by NetEnt, Banana Rock by Play ‘N Go and Vikings by NetEnt. Sign up and deposit to get a 100% match bonus up to £200 – you’ll also get 11 welcome spins with no wagering requirements on NetEnt’s Starburst. They also have daily offers throughout December in the run up to Christmas which will reward you with extra spins, weekend booster multipliers and casino races.